Satsuma-imo are small to medium in size and are long, slender, and irregularly shaped with tapered to rounded ends. The semi-rough, textured skin is brown with a distinct red undertone and has many small, shallow eyes scattered across the surface. When raw, the flesh is firm, dense, and ranges in color from white to pale yellow, deepening to a golden, cream-colored hue with a drier, starchier texture when cooked. Satsuma-imo offers a nutty, slightly floral flavor with hints of chestnut and caramel. Satsuma-imo are available in the late summer through winter. 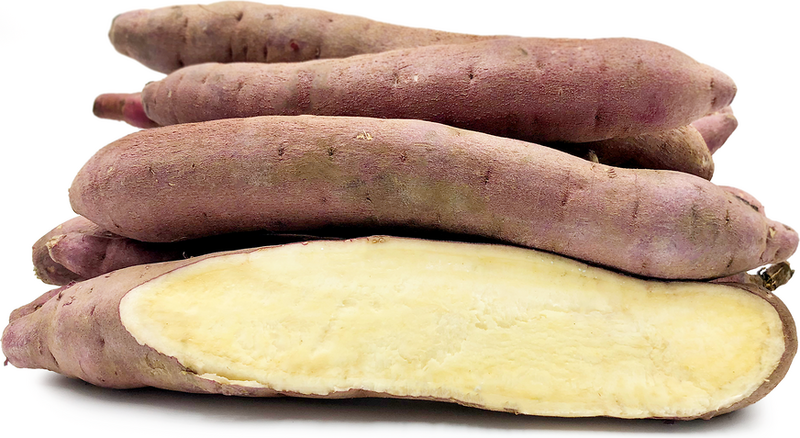 Satsuma-imo, botanically classified as Ipomoea batatas, is a general term used to describe many different varieties of sweet potatoes in Japan. Belonging to the Convolvulaceae or morning glory family, the name Satsuma-imo translates to “potatoes from Satsuma,” which is a region on the island of Kyushu in Japan known for its sweet potato cultivation. Since the mid-18th century, Satsuma-imo have been a favorite meal in Japan and was the predominant crop that saved many regions from famine during the Edo period. Satsuma-imo is so revered in those regions today that there are Shinto shrines and Buddhist temples solely dedicated to honoring the tuber. Popular varieties of Satsuma-imo include anno-imo, naruto kintoki, beni asuma, and silk sweet. In Japan and throughout Asia, Satsuma-imo are often consumed as a snack and are used to make noodles, sweets, and confectionaries. They are also sometimes used to make shochu, a popular alcoholic beverage. Satsuma-imo contains fiber, thiamin, vitamins A and C, and trace amounts of protein. Satsuma-imo are best suited for cooked applications such as roasting, baking, boiling, stir-frying, and steaming, and are often consumed with the skin on. The tubers are popularly used whole, wrapped in foil, and are roasted or steamed to create a sweet, creamy consistency, consumed on their own or with many different toppings. They are also diced and used in tempura, curries, stews, and soups. In Japan, Satsuma-imo are commonly used in imo gohan, a dish where the tuber is sliced or cubed and steamed along with rice, flavoring it with its sweetness. Daigaku imo or university potatoes, another popular dish, cubes, deep-fried, and candies the sweet potato in a syrup of sugar and soy sauce, sprinkled with toasted sesame seeds. This dish is often served at university festivals and food fairs. Satsuma-imo are also a traditional New Year’s treat in kuri kinton, a dish that utilizes mashed Japanese sweet potato and boiled chestnuts. Satsuma-imo pairs well with vanilla, cinnamon, nutmeg, miso, scallions, red onion, carrots, bell pepper, apples, chestnuts, and Greek yogurt. The tubers will keep up to a week when stored in a cool, dry, and dark place. Satsuma-imo often evokes nostalgic memories back to childhood in Japanese culture. After World War II, Satsuma-imo were sold by street vendors from yaki-imo carts or trucks. These vendors would drive into neighborhoods calling out in a melodic chant “ishi yaki-imo,” meaning “stone-roasted sweet potato,” indicating that the sweet potatoes were slow-cooked over hot stones to create a crisp, browned skin with a caramelized, sweet, creamy flesh. Many Japanese adults fondly remember running to the trucks on cold winter days as children to eat the tuber as a sweet, warming treat. Today yaki-imo trucks are somewhat rare in Japan, but the ones that do exist have adapted to changing times. The trucks present today are equipped with loud-speakers, spreading their chants farther and wider, and the owners even run social media pages such as Twitter and Facebook to broadcast their location to avid consumers and to take pre-orders. Sweet potatoes are native to Central and South America and were introduced to China in the 16th century. The tuber was then brought from China to Japan in the early 17th century, and there the Satsuma-imo went through a series of name changes as it made its way across Japan. Known initially as Kansho in China, its name changed first to Kara-imo when it arrived in Okinawa and was finally changed to Satsuma-imo as it reached mainland Japan. Today many different varieties of Satsuma-imo are widely cultivated across Japan and are available in Asia at specialty grocers and local markets.  Recipes that include Satsuma-imo Sweet Potatoes. One is easiest, three is harder. People have shared Satsuma-imo Sweet Potatoes using the Specialty Produce app for iPhone and Android. 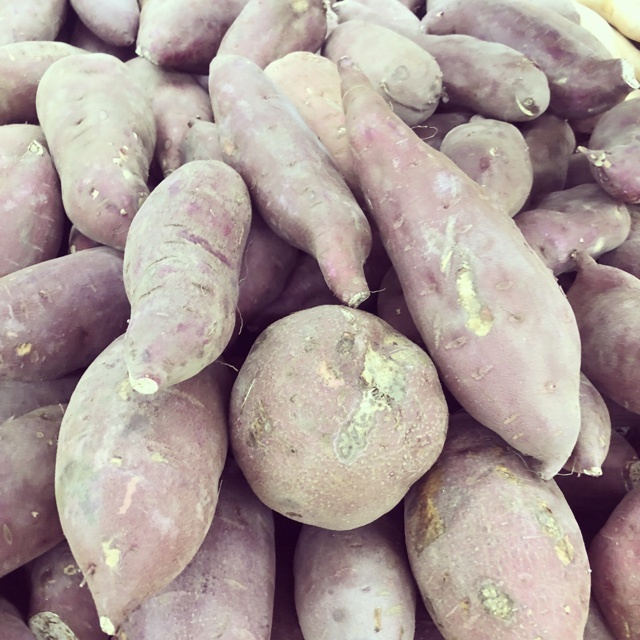 Sharer's comments : Japanese Sweet Potatoes spotted at First Alternative Natural Foods Co-Op. 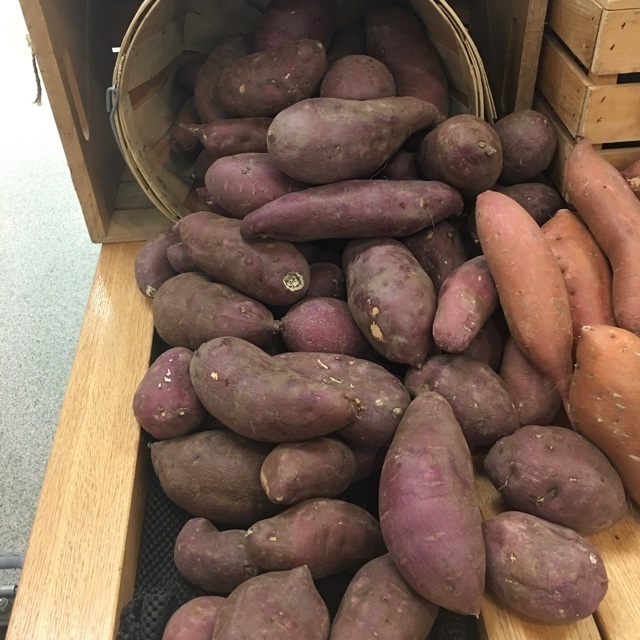 Sharer's comments : Japanese Sweet Potatoes spotted at Seafood City. 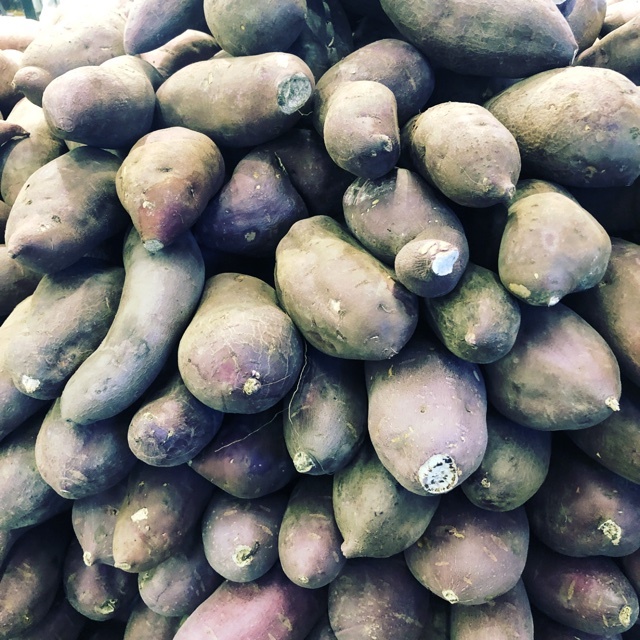 Sharer's comments : Japanese Sweet Potatoes spotted at Marukai Market. 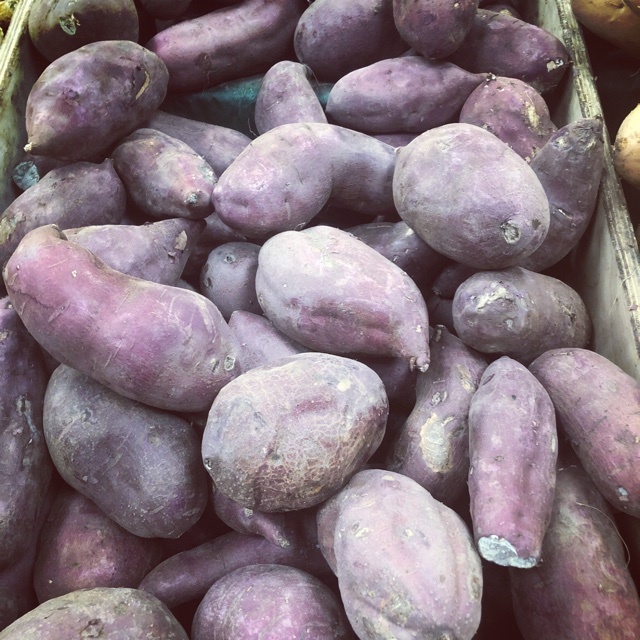 Sharer's comments : Japanese Sweet Potatoes spotted at North Park Produce. 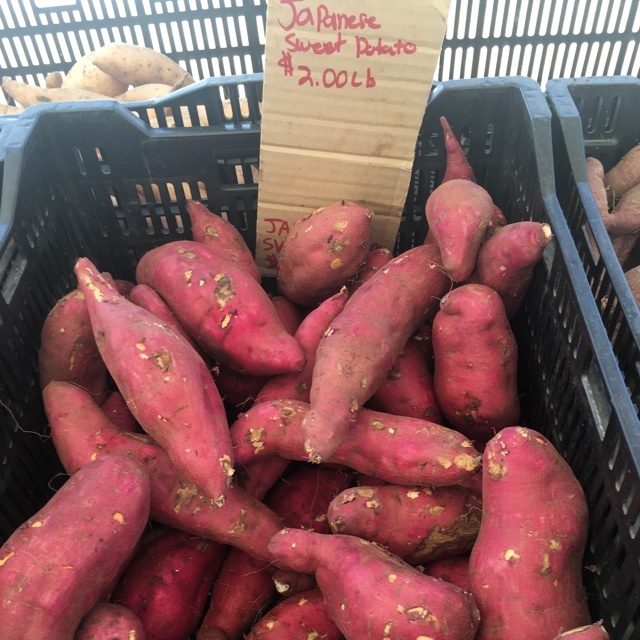 Sharer's comments : Japanese Sweet Potatoes spotted at Virginia Park Farmer's Market. 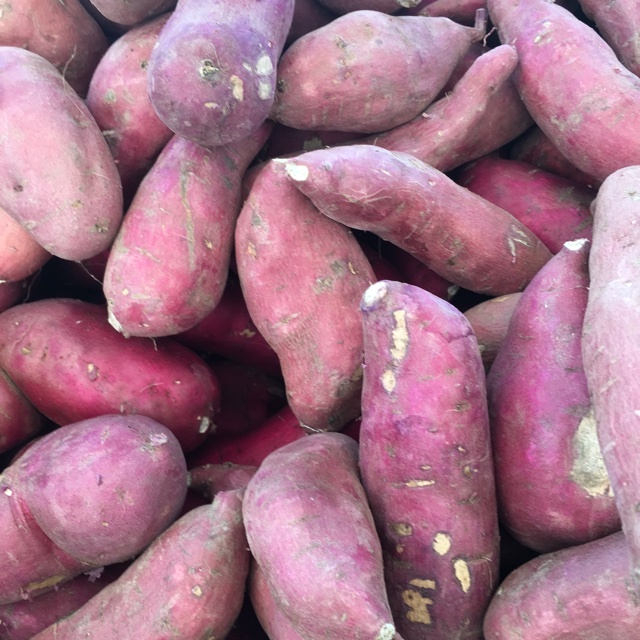 Sharer's comments : Japanese Sweet Potatoes spotted at Chequamegon Cooperative . 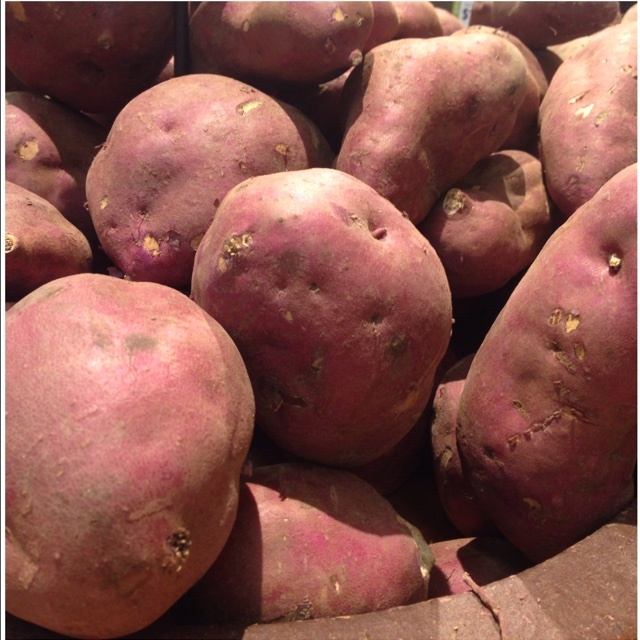 Sharer's comments : Japanese Sweet Potatoes spotted at PCC Natural Markets.